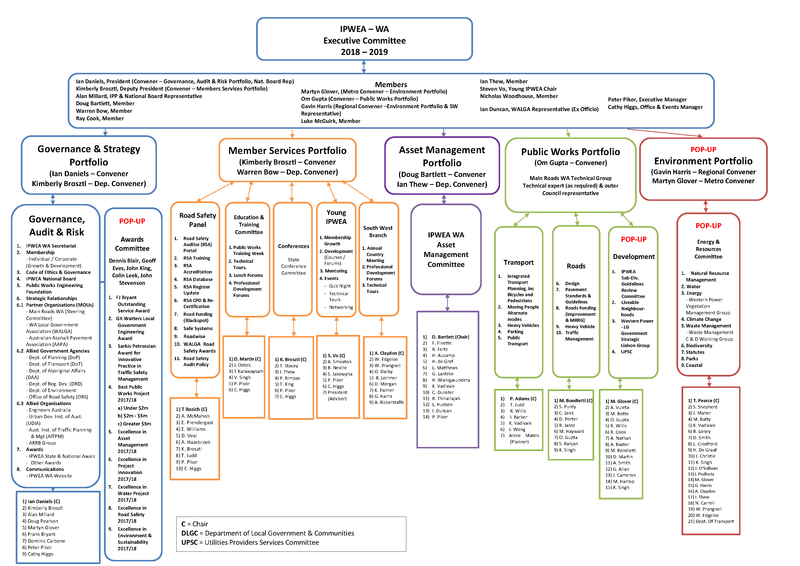 The Institute of Public Works Engineering Australasia (IPWEA) is a professional organisation providing member services and advocacy for those involved in delivering public works and engineering services to the community. Membership includes organisations and individuals in state, local government and in private industry. IPWEA promotes professionalism, education and technical knowledge and holds strategic alliances with many other related organisations. IPWEA is a federation of State Divisions responding to State based issues with a National Office to attend to national and international matters. The WA Division has an office in Perth and a regional branch in the States south west. IPWEA has formed special interest networks, which meet regularly to further develop strategies and innovations in a range of areas.